For a very brief period in the 1980s I was a member of the Fabian Society. The other day I managed to dig out of my collection of old Fabian pamphlets one by Patricia Hewitt and Deborah Mattinson, entitled Women’s Votes: the Key to Winning, published in 1989. The Labour Party needs women’s votes in order to win the next election. The evidence suggests that these votes can be won but the Party must persuade women that it will not only stand by it values but also carry out its policies when in government. Until quite recently, it was accepted political wisdom tht women were more conservative than men. Within the labour movement, women voters were widely blamed for electing Mrs Thatcher and it was believed that a future Labour victory would depend more on men than on women. Before the 1987 general election, the Conservatives generally did better amongst women than amongst men. The reverse was true for Labour. There was a ‘gender gap’, and it worked in the Tories’ favour. That has now changed. In 1987 Labour closed the gender gap for the first time. There is good evidence for believing that, in future, Labour will do better amongst women voters than amongst men. We start by looking at the 1987 and 1983 voting patterns to analyse Labour’s relative strength amongst women and men, and amongst different groups of women. We then look in more detail at women’s and men’s values and attitudes, drawing on recent opinion polling and qualitative research, including a series of small discussion groups undertaken especially for the Fabian Society and reported in this pamphlet. Next we examine attitudes to issues and suggest the policy areas on which Labour should concentrate, before turning to proposals for how Labour can become more representative of women. Finally, we briefly consider unplublished and published material from Australia and the USA, where the Australian Labor Party and the American Democrats are reaching similar conclusions to our own. This bears out the ideology behind much of the right-wing, Conservative, and Libertarian misogyny in the US. The Libertarians, right-wing Republicans like Anne Coulter, and the Fascists in the Alt-Right, would like to deprive women of the vote partly because they see them as more left-wing than men, and more willing to expand the power of the state. Which challenges their notion of freedom under classical liberal economics, in which the ideal state is that of the mid-19th century. It also shows why millions of women did not vote for Killary. For all Clinton’s promotion of herself as a feminist representing women, she signally did not. She was a bog-standard, corporatist politician and foreign policy hawk. Her gender made absolutely no difference whatsoever to the policies she promoted and espoused. She was far too right-wing for many American women, who voted with their feet. And they did so not because they were told to by their husbands and boyfriends, as Killary later claimed, or because of misogyny by nonexistent ‘Bernie Bros’. The same goes for the female Blairites in the Labour party. They’re simply a continuation of Blair’s pro-corporate, neoliberal programme, which was basically just reheated Thatcherism with sickly grin. The comments by some of these female faux ‘moderates’ that they will be even harder on the unemployed than the Tories is not going to impress ordinary working women, already doing the worst paid jobs and, like working men, suffering from precarious unemployment conditions. And this shows how desperate and threadbare the corporate, mainstream media has been in pushing the narrative that the Labour party under Corbyn, and Bernie Sanders’ supporters in the Democrats in America, are misogynists. Because they aren’t, and the neoliberal entryists know it. Hence too the portrayal by some of these corporatist women to draw a difference between themselves, representing the glorious middle-class, pro-woman future, and male-dominated, working class Old Labour. The truth is, women seem to be more left-wing than corporatist, neoliberal shills like Hillary Clinton, Angela Eagle and the rest of the post-Blair faction in the Labour party. And its frightening them, and the rest of the Right-wing establishment. 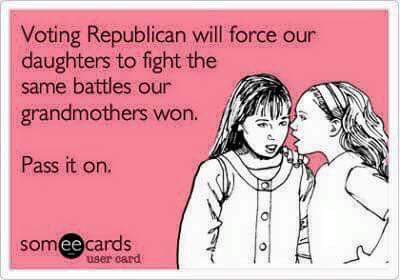 And so we’re left with stupid lies about misogyny and intimidation from them and the corporate media. This is another fascinating piece from the American comedian Jimmy Dore, who turns up regularly on The Young Turks internet show. In this video he discusses an article in one of the New York Papers, reporting a study that has shown ‘broken windows’ policing to be complete rubbish. ‘Broken windows’ policing is the name given to the police strategy of prosecuting people for minor offences – what are called ‘quality of life’ offences, like graffiti, riding your bike on the pavement and so on, in the expectation that cracking down on minor crimes will lead to a drop in major felonies. It includes ‘stop and frisk’ – what over here is called ‘stop and search’ – in which people are stopped and searched at random by the rozzers. The ‘broken windows’ strategy takes its name from an official experiment, in which a car was left in the road with its bonnet up in two different neighbourhoods. One, I think, was a rough part of New York. Within hours, the car had been stripped. They then left a similar vehicle in an upmarket neighbourhood in California – Palo Alto. The car was left alone. So the experimenters broke one of its windows. It was only after they did that, that the car was gutted. And so they came to the conclusion that to cut down on major crime, you have to start with minor misdemeanours. Except that it doesn’t. An official study shows that it has no effect. Dore and the others off camera describe how such arrests can wreck a person’s life in the US. If you’re arrested for a felony, you can’t get a student loan and you automatically lose your right to vote, along with other disastrous consequences. Stop and frisk policing is similarly false. 87 per cent of those stopped are Black or Latino in America, but in only six per cent of cases does this lead to an arrest, and only half of those result in a conviction. Meanwhile, as they point out, it’s a massive way to increase Black and Latino alienation from the cops. Dore mentions some of the many over-reactions of the police to perceived Black criminality. Like a case where a teenage boy was followed by helicopter, because he jumped a turn-style. Meanwhile, according to Dore, a CCTV camera elsewhere had recorded the cops choking a man to death. ‘Broken windows’ policing and stop and frisk also have no effect on crime, which has been declining in America for decades anyway. So there’s no reason why these policies, which are only punishing ethnic minorities unfairly, and driving them away from the police, should be continued. I’m reblogging this, as although the study relates to America, it is clearly relevant to the situation over here. There have been complaints by the Black community in London against the police using ‘stop and search’ there. As for ‘broken windows’ policing, something similar has been advocated by members of the Conservative right, like Peter Hitchens. (In fairness, I should qualify that: Hitchens was not in favour of Thatcher’s sale of council housing, and does not support private prisons, both of which seem to be standard Tory, and New Labour, policies). In his Mail on Sunday column a few years ago, Hitchens cited the pattern of policing before the First World War as the reason for that time’s comparatively low rate of serious crime. This was a time when people were arrested and jailed for very minor crimes like drunkenness, sleeping rough and so on. I think Hitchens’ attitude is that if people are punished for ‘quality of life’ offences, they’ll acquire some self-respect and start to behave like responsible citizens. This shows that they won’t. This is another revealing quote on Fascist attitudes from the Fascists themselves, in Brady’s book, ‘The Structure of German Fascism’. Nazism was based partly on the idea of the biological inferiority of certain groups, and the supposed need to eliminate them or prevent them from breeding. These included recidivist criminals, the physically or mentally handicapped, and the unemployed. The last were seen as biologically inferior simply through their inability to hold down a job and support themselves. The Nazis boasted that their eugenics campaign was definitely not a novelty, and was based on arguments and programmes put into practice in other nations. Such as America, where 26 states passed legislation providing for the sterilisation of the mentally handicapped. Here’s a statement from one American Fascist demanding an end to liberal democracy, because of the support it gives the biologically inferior. (Pitkin, Let’s Get What We Want, pp. 72, 283). These sentiment aren’t that far from the Daily Mail. And as Mike has pointed out on Vox Political, and Johnny Void on his blog, the government is effectively criminalising the unemployed by forcing them to do unpaid community work. And the Tories over here, and Republicans in America, are also passing laws designed to ensure they win the election by stripping the franchise from the poor, young and ethnic minorities. All in the name of reforming voter registration. In this country the Tories are debating stripping the right to vote from Irish people, and the citizens of Commonwealth countries resident here. This is a government which has adopted policies that could rightly be called ‘Fascistic’. They just haven’t formally overthrown democracy yet and started wearing the black shirts and jackboots. Fight the Right-Wing Parties: Register to Vote! Warning! This piece does contain some strong language. As it’s about UKIP and the Tories, this is only to be expected. But viewer discretion is advised. Politicians and political commentators from all shades of the political spectrum are worried about the increasingly low turn-out at elections. They rightly fear the death of democracy from apathy and cynicism. 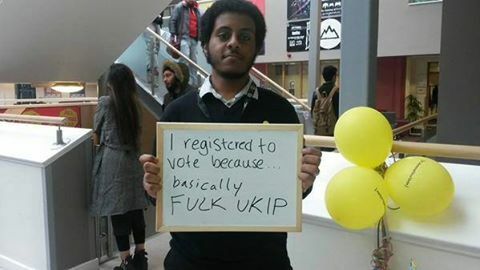 However, UKIP, it seems, have managed to energise people to go out and register to vote. Instead, it’s the very people they demonise and campaign against, as this highly amusing piccie shows. I found it on the Slatukip page. It’s a great response to Farage and his army of swivel-eyed loons. 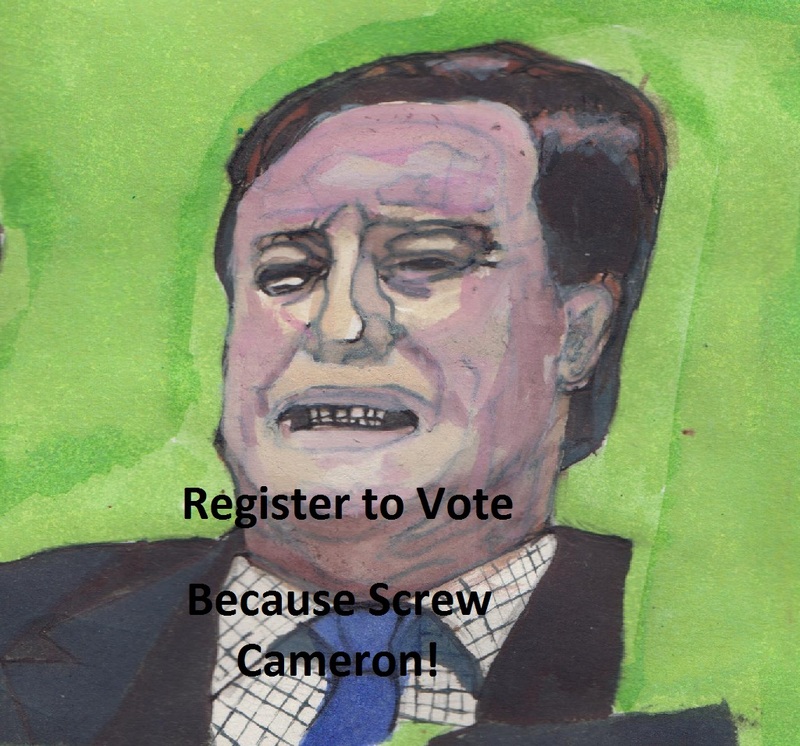 The Tories have passed legislation making it more awkward to register to vote. As a result, about 700,000 people, mostly students, have fallen off the electoral register. This isn’t an accident. Too many people despise the Coalition. Students particularly resent the Lib Dems for reneging on their promise not to support tuition fees. And the right takes very seriously the perceived wisdom that young people are more likely to be left-wing than the old and middle aged. The Tories are also considering stripping Irish people, and citizens of Commonwealth nations resident in the UK of their right to vote as well. Because Irish, Pakistanis, Indians and Africans tend to vote Labour. So here’s my considered response to the Tories and their electoral reforms. 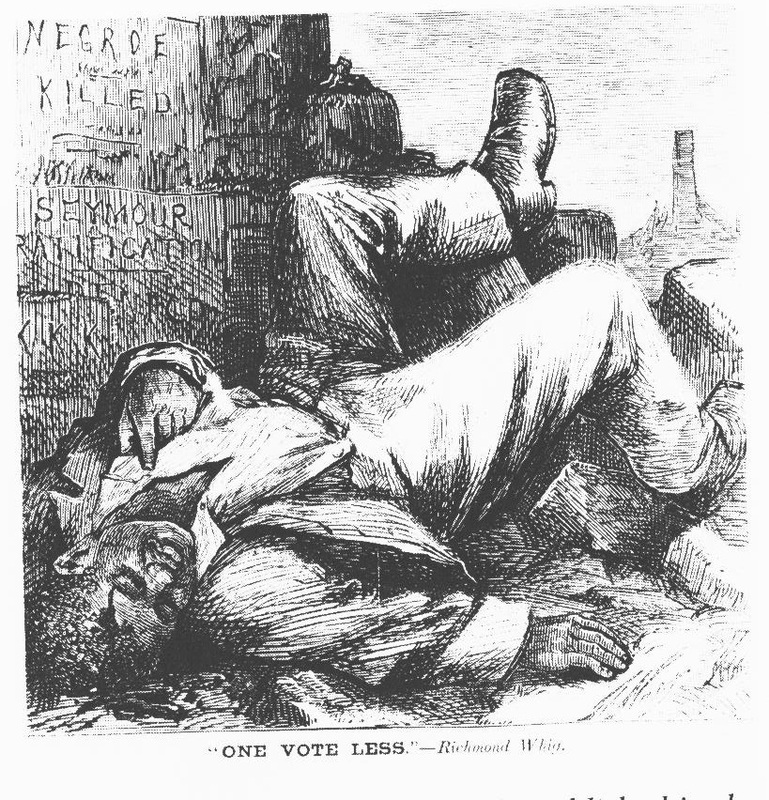 And just to remind you how long and hard Black people had to fight for the vote, just remember that in 196th century America a Black man was shot dead for daring to try to cast a vote at an election. Regardless of whatever race or creed you are, don’t let the Tories take your right to vote away!